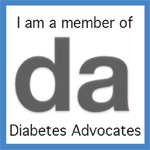 Group Co-founded by Nick Jonas, Sam Talbot JUMP into T1D/DKA Awareness…….SPECIAL DAY TODAY. How mad are you…..I hope you are furious. Beyond Type 1.org (founded by Nick Jonas, Sam Talbot, Sarah Lucas, and Juliet De Baubigney) are involved in the Revlon One Million Dollar Challenge. Every dime that is raised today will go to Beyond Type 1’s efforts to bring awareness to the missed diagnosis of T1D. Reaching out in efforts across the country. Please help them. If you give $40 or more, you will get one of these really cool t-shirts. Click the picture above to take you to the donation page. PLEASE CONSIDER giving a few bucks. This group is REALLY STEPPING up to spread the word so no child gets severely ill, or dies. A few bucks can help, YOU can help. Please share this. This is for today only—help them help this initiative. If your child was in DKA, you know how important this issue is; please help our friends at Beyond Type 1. NEWSBREAK: Missed Dx of T1D Claims Another Young Life….We Must Care Harder!! Sigh. Yes my dear friends, it has happened again. And it will keep happening until it sinks in that the missed diagnosis of type one diabetes is so real….and it kills. It injures. It is unnecessary. Even in the story below, the Doctor interviewed does not even mention the flu-like symptoms as a warning sign that just took this young lady’s life. I placed in bold the fact that Angela’s mom had taken her in to see what was wrong and yet, again, a child was sent home. I hope you are as tired reading about these stories as I am about writing about them but I share this, I swear with everything inside me that I will not stop until we change this paradigm. I now add Angela to my pledge of not stopping until the world hears A Child’s Cry for Change. R.I.P. sweet angel, your silenced voice will be heard again; of that you can be sure. This story is copied from the WKRN Nashville ABC affiliate on News 2, the link follows the story. MURFREESBORO, Tenn. (WKRN) – A Murfreesboro mother took vacation to spend spring break with her five children, but now she’s planning a funeral for one of them after a common but treatable childhood illness. Angela Elizabeth Robinson, 11, was diagnosed with Type 1 diabetes too late, and she died suddenly over the weekend. Mother Darla Robinson flipped through a tiny book of memories of her daughter Angela Elizabeth, reflecting on her life. “She was a sweet girl, enjoyed being playful and listening to music,” Robinson said. She said there is comfort knowing Angela lived her 11 years of life to the fullest. “That’s the type of person who was, very kind, enjoyed life,” Robinson said. For the most part, Angela hadn’t had any major illnesses until now. She was a normal healthy 11-year-old up until Monday of this past week,” Robinson said. That’s when Angela became sick and began having muscle spasms. Her mom took her to the doctor Tuesday of last week where she was prescribed some medicine and told her to drink plenty of fluids. She had gotten worse by Wednesday. “I went to go check on her and she didn’t respond to me so we had to get her to the hospital as quick as possible,” she said. “She was diagnosed with on-set juvenile diabetes and she went into diabetic ketoacidosis and was unable to recover.” Her blood sugar was 1,600 and doctors couldn’t get it down. “She died at Vanderbilt hospital at 2:57 Saturday morning,” Robinson said as she teared up. Type 1, or juvenile diabetes, is more common than you may think, and can develop quickly, according to doctors. More than 200,000 cases were diagnosed each year in the United States. Dr. Adam Childs with TriStar Family Medicine, located on Medical Center Parkway Murfreesboro, said parents know their children better than anyone so pay attention to the warning signs. “What we watch out for is excess thirst, frequency urination, having a child that’s very hungry often, but despite all that, that child may be losing a lot of weight,” Childs said. Childs said other things to watch out for if a child is fatigue, or moody. There is no cure for diabetes, but it’s easily treatable. “It’s important to get it treated because if you don’t treat it, it can have some very severe and devastating consequences,” the doctor said. The Oakland Middle School student had hoped to one day to become a doctor to help other. “Even though she won’t fulfill her dream of being a doctor, she did fulfill at least that part of the dream, to help some other child out there who may have been in need,” Robinson said. “One of her organs, her pancreas was donated to a doctor who is doing research in the area to hopefully find a way to fix the problem.” Robinson said she wasn’t prepared to bury one of her children and she doesn’t have life insurance. The Oakland community has come together and started a GoFundMe account to help the family with funeral expenses. Click here to donate. So what gets you to take a step, a baby step, in helping to stop this from happening. If we do not cry out as a unified community……I assure you no one else will in the same way we would, could, should. I assure you of that point! Don’t do nothing….care harder. Discipline, Diabetes, & Boundaries…….Thin Line; But a Line None-the-less. Now I’ll be the first one to tell you that the statement is both drastic and over the top, but for the most part it worked (well almost). Boundaries. Our kids respect them once they are laid down. Should they not be followed, there was a ‘price-to-pay’. Good thing about getting a license is that once you taste the sweet nectar of driving, you hate walking. Taking the keys away was a quick way to get a point across. Interesting how much that statement becomes exponentially higher when your child is dealing with diabetes every minute of every day, isn’t it? When our kids with diabetes ‘miss’ a curfew, well that seems to have a whole new meaning doesn’t it? Well not really. It shouldn’t. If one of my kids, dealing with diabetes, needed to stay someplace longer to deal with a low, or a high; we looked at it no differently than “I lost track of time”. Call. I don’t care the reason, call. Once you are feeling better and you go to start that car, call and fill us in. Once a pass, twice they saw me irritated, and three times they lost privileges…..or something like that. If our child stayed someplace to treat a high or low and did not call, they did not hear it from me regarding their diabetes. When they arrived home they heard it from me about not doing what I asked; which was to call. Not because of their diabetes, but because they did not do what we agreed upon…..which was to call. It’s not our kids’ fault they have diabetes. They need to live life as…..well kids. Richard taught us always to be careful, and that indeed there was a way not to mix the two when it came to discipline. It wasn’t about eating something they were not supposed to eat, it was about disobeying. Set the boundary line, give choices. There are differences. Act so you don’t need to react. How do you handle such situations? Share, please. These things are never easy in this world of diabetes…………………are they? Pump Malfunctions? ?…..Do You Panic?……There’s Just No Need To!!!! A man stands at the bottom of a stopped escalator. Not a long escalator, mind you, just normal-one-floor type. His face is red with anger as the escalator comes to a stop. With that, the man walks up the stairs. I have heard for some time now about this thing called an artificial/bionic pancreas and how it will be the closest thing to a cure. For the record, the same was said when insulin came along, when ‘long-lasting’ insulin came along, when the insulin pump came along, and when the cgm came along. I get what is meant by such sayings, each of these management tools were/will be a giant step forward in making the management of diabetes ‘just that much easier’ according to many. But these are all tools that can ‘go-derailed’. We have to be ready when that happens. We have to be versed on what to do. An expert does not just have the ability ‘to do something’, they also have the ability to ‘right-a-course’ when it starts to go wrong. When it comes to the welfare of our children, nothing less than expert will do. Don’t be afraid to get back to the basics when it comes to diabetes management. Make sure you know what to do ‘when the lights go out’. It may be a tad inconvenient to go back to shots should a pump malfunction, but if your entire stomach turns at the thought of that issue, you may want to take a refresher-course on what to do. If your child sees panic in your eyes and/or senses fear in what you are doing, guess what is going through their minds? Most assuredly, at some point your escalator will stop, it will be so much easier to know how to walk-them once that happens. It’s all how you look at things. Diabetes Tunes…..Do You have an Antagonist? When I was much younger, I was a huge cartoon lover. I used to watch and see how often, during a chase scene, the background repeated itself. I could tell you a really good cartoon (usually WB) from a real ‘hokey one’. There were a few constants in these cartoons that I have come to realize over the years. One observation is that many were not very politically correct. I often wondered if the powerhouses at studios knew exactly what they were doing in this regard? Another observation was that cartoons were pretty violent in some cases. In all of this, I have often wondered how today’s world would look at the cartoons of the past. Another observation I had about cartoons is that there was always the antagonist in every one of them. Bugs Bunny had Elmer Fudd, the Roadrunner had W.E.Coyote, even Tweety Bird had Sylvester. The one character involved in their day that they would be so much better……..without. Now you may wonder, at this point, what in heaven’s name this has to do with diabetes? My thoughts dealing with cartoons made me think of something that got this crazy head of mine spinning……as many of you know, my head does that at times. There really isn’t one aspect of this disease I’m very fond of to be quite honest; but like Bugs Bunny, Tweety Bird, and the Road Runner I certainly had one thing that would get on my nerves more than anything else. And it was this……..going out. It always seemed to me that Kaitlyn would always have one of her worst glycemic reactions when we were getting ready to do something special. Going to the Ice Capades, going on a trip, going for a night out….it never seemed to fail that it was at this time that diabetes ‘would pull a number’ and she would have some sort of serious reaction. Her little body would become so rigid and she would begin to scream. Her body would become so stiff that we could not even get her to sit in the car seat; it was that bad. Of course it did not happen every time, but I surely remember the episodes. Her face while she was going through this will haunt me all of my days. Never once was this an inconvenience, this was watching helplessly as we tried to get control of a situation that would result in either Kaitlyn having no memory of it at all, or through her sniffles and tears; apologizing. Just kill me now, was a constant thought. I hated that she was put through this incredible ordeal. I cannot imagine what was going through her two-year-old-little-head. I never forgot it and each time it occurred, I drove myself that much more to learn more and more about this thing called diabetes. The other thing I remember about these incidences was that Jill turned into Super Ninja Mom. She would spring into action with the reactions of a cat that so many moms learn over time dealing with diabetes (some dads too). I may have been okay at it, but Jill perfected the course of action that left me in awe each and every time. She would balance not only Kaitlyn’s reactions and needs; but also while keeping an eye on her older brother who was probably all of five or six during these times. Almost like assisting an absolutely gifted surgeon, my job was to do, get, be, whatever I was instructed without question. And I did. A million times I have stated that our kids have the perfect mom………..and she did it all without expression…..leaving her tears only to when she thought no one knew…..but the tear stains on her pillow were evidence that at some point it hit her; and it hit her hard, and certainly more often than she led on….. and to this day. Those were challenging times through the first few years when things went haywire and Kaitlyn was unable to vocalize what was happening. In all of diabetes, these were the toughest to handle in every aspect. What was/is your ‘one’ thing that bothers you more than anything else? I wish it was like the cartoons, but it’s not. It’s real. Never was there a time when we could smile and say, “De-de-de-That’s all folks”.